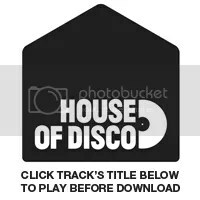 House of Disco | Alison Limerick – Where Love Lives (Frankie Knuckles & David Morales remix) D imitri From Paris Frankie Knuckles Tribute Edit | SOUL OF SYDNEY FEEL-GOOD FUNK SOUL DISCO vibes & beyond. RIP Frankie Knuckles, the tributes keep rolling in for the Godfather of House who sadly passed away recently aged 59. This is a gem edit Dimitri from Paris put together to pay homage to one of the masters of the house sound. Its a neat edit of the seminal favorite Where Love Lives.